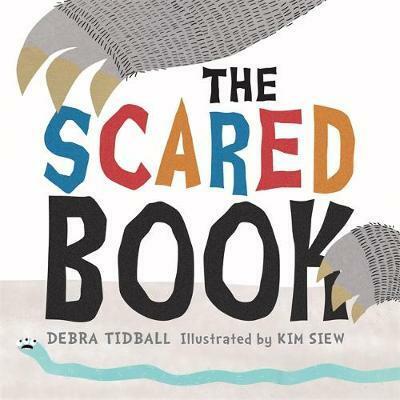 The Scared Book is a fun, interactive picture book for pre-schoolers. The book itself is scared to continue telling the story after introducing a cast of monsters. It needs the reader’s help to scare them away! Each spread offers a chance to get physically involved with the story, from rubbing goosebumps to fanning bad smells. Suspense is built via the persistent monsters popping up again and again, vibrantly brought to life by Kim Siew, a talented artist and muralist also known as Akisiew. Fortunately, the monsters are far too cute to be truly scary, so be assured even the youngest of readers won’t be freaked out by the monster factor! Tidball’s text is used to clever effect regarding pacing, for example suggesting a moment to calm down while tracing a spiral. The ending empowers the reader, and will no doubt create demand for repeat reads. This is an energetic story designed to immerse kids in the world of stories, and perhaps inspire them to create their own. The eye-catching, tactile cover and fun use of fonts to convey emotion top off the reading experience.